Scroll down for more show & download information. …whose influence on the development of the electric harp is so fundamental that the instrument she plays is named after her, the “DHC” harp – and is now played by thousands of harpists throughout the world, designed by CAMAC Harps in France. 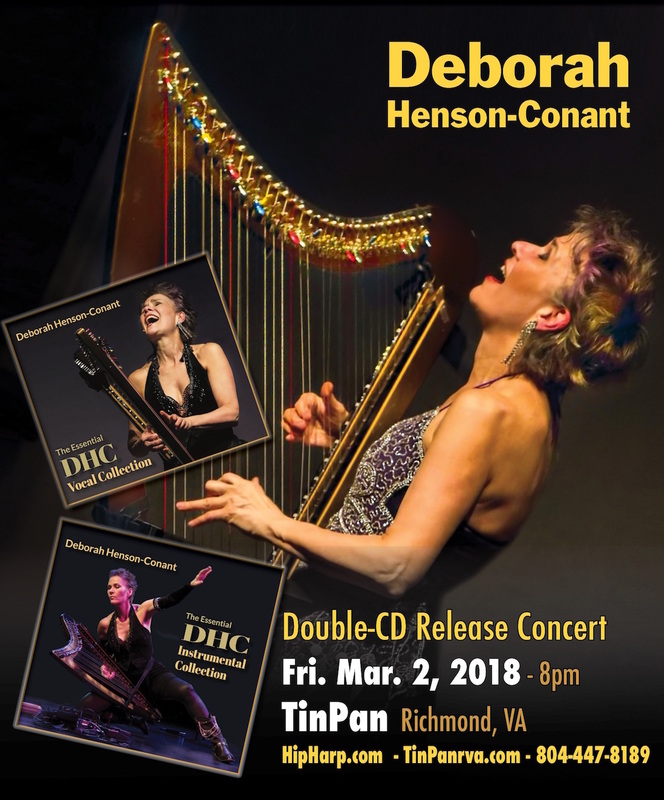 Deborah Henson-Conant (DHC) has performed with Steve Vai, the Boston Pops, Bobby McFerrin, Marvin Hamlish, Doc Severinsen and in countless solo performances in theaters, art centers and festivals – and as a symphony soloist with orchestras throughout the U.S. 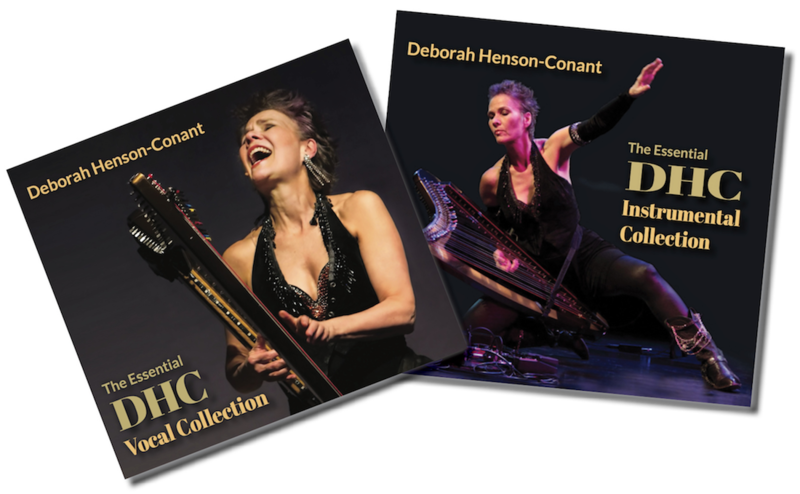 The “Essential DHC Collection” 2-album set contains more than 30 tracks from over 2 decades of recordings, including solo recordings, duo, jazz trio and ensemble. The second release celebration for “The Essential DHC” collection will be Fri. Mar. 2, 2018 – Get the full collection in the Artist’s Special Download. You can Also Gift it to friends. 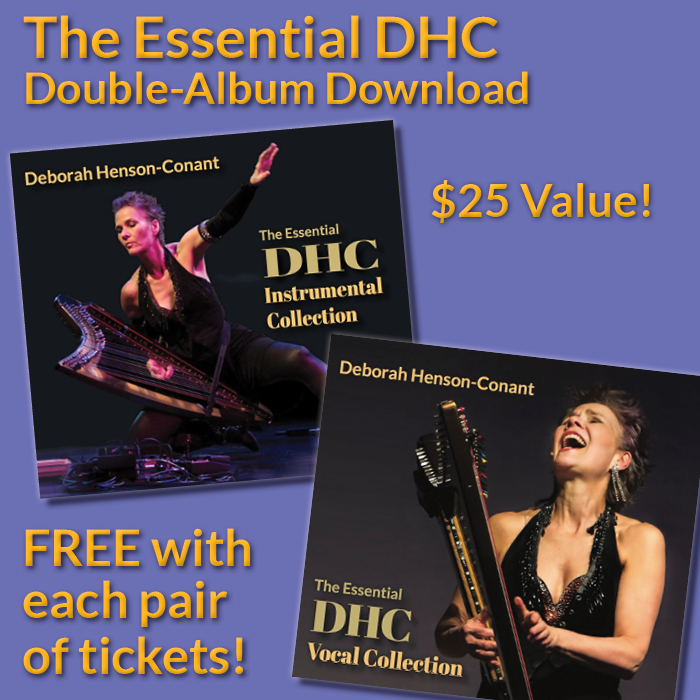 “The Essential DHC” collection comes in two volumes: one is the all-vocal collection and the other is the all-instrumental collection. To see what’s included in the Vocal Collection, see the image below. “The Essential DHC” collection comes in two volumes: one is an all-vocal collection & the other is an all-instrumental collection. To see what’s included in the Instrumental Collection, see the image below.